A tailored look with slipper comfort. 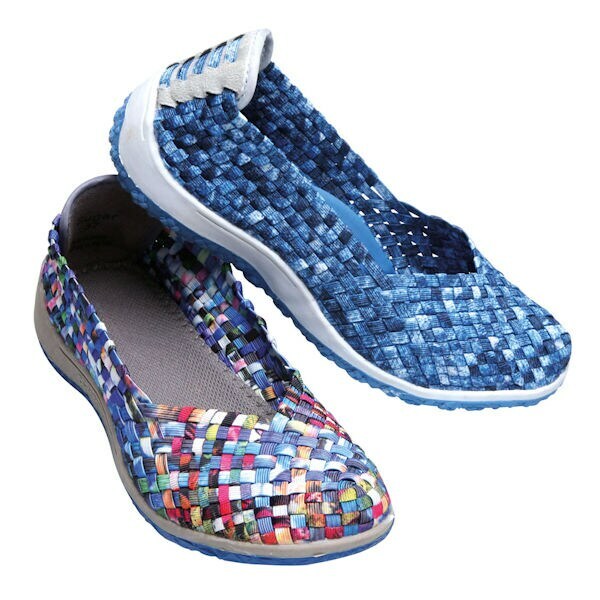 Woven elastic bands create a fascinating pattern in these lightweight slip-on loafers; a leather heel lining, cushioned foot bed and uppers made of elastic and leather. Rubber soles. Imported. 37(6½-7), 38(7½-8), 39(8½), 40(9), 41(9½-10), 42(10½-11). Specify Blue Multi, Turquoise Multi or Black/Charcoal Multi.